ABOUT US - Pseudo Science Museum --- "Get ready to believe just about anything." 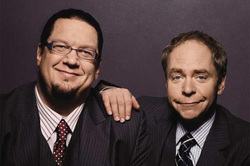 T0 many, Pork and Beans are to Pseudo Science what Laurel and Hardy were to comedy and Penn and Teller are to magic. Ignatius (Iggy) Magniloquent Pork, Professor Emeritus, St Stephen's Seminary of Pseudology, Co-Director of the Pseudo Science Museum. An Old Earth Creationist (he believes the Earth is billions of years old), Iggy is the author of Pork's George Lucas' Time Theory. Many people call Iggy "Pop" Science for putting the pop back in Creation Science. Like Einstein, Iggy believes that imagination is more important that knowledge. Fuller Buckmeister (Bucky) Beans, Under-Graduate, Brownknows University, Co-Director of the Pseudo Science Museum. A Young Earth Creationist (he believes the Earth is only about 6,000 years old), Bucky knows what he believes and believes what he knows. He isn't sure why Ken Ham doesn't answer his emails or phone calls. I.M.Pork and Fuller Beans are the leading Pseudo Scientists in the world. With degrees in Pseudology from numerous universities (they know who they are) Pork and Beans have pushed and prodded the boundaries of Pseudo Science. Their first book, CREATIONISM FOR DUMMIES, Inbreeds and Other Mental Defectives failed to find a publisher. They, the book publishers, said the title was redundant and offensive. You may notice, while visiting the museum, that some of the displays and explainations don't always agree. 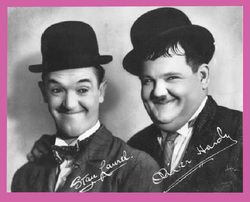 This is because Pork and Beans are co-directors and unfortunately they don't always agree. However, in order to open the museum in a timely manner we have gone ahead with our scheduled opening and figure things will sort themselves out over time. That being said. they want to make it very clear that the museum was created and designed by qualified professionals. It is not now and has never just evolved to its present state. Sure there have been changes along the way, but that is to be expected. But we never evolved.